Privileged access management is an important part of the security infrastructure for all organizations. 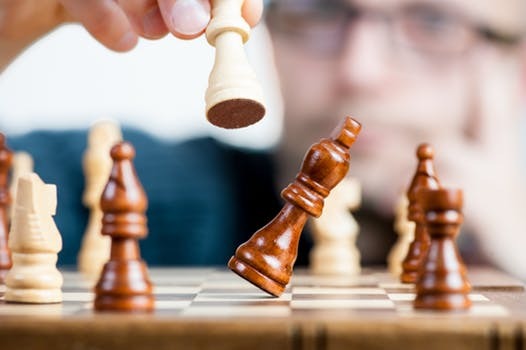 These four categories all present their own unique challenges that can be solved when IT security takes advantage of privileged access management. Let’s deep dive into the details of these privileged access management use cases. Cybercriminals want this confidential information so they can sell it on the dark web and make huge profits. It is crucial that this information is protected and only accessible by the people who need it. Many organizations focus on and invest in software to defend and protect against external threats, like malicious software or outside hackers. Securing online data is usually the first priority for organizations, but unfortunately this can expose weaknesses in the security infrastructure. If a vulnerability is discovered, hackers will exploit the breach to gain access to privileged accounts. In this way, external and internal attacks go hand in hand. An external actor is now acting maliciously from within the organization, and they can often act within the core systems unnoticed. Many organizations don’t realize that these important accounts have been compromised until it is too late – potentially even years later. Although organizations hope that their employees are trustworthy, the fact is that 69% of enterprises have experienced an insider attempting to steal confidential business information. Although it is unclear how many of these threats occurred due to compromised accounts, it is still a large enough number that organizations need to take the appropriate steps to defend against these threats. The theft of this information usually occurs due to a weakness in the controlling and monitoring of privileged accounts. These privileged accounts could be set for super users, administrators, or external service providers, but without full control, access to these accounts can be obtained by other users. Maintaining control over these accounts is particularly difficult when organizations use shared accounts. Once an employee no longer needs access, the account cannot simply be deleted because it is shared with other users, but this leaves a vulnerability that an ex-user could use to still gain access to confidential information. Maintaining control over the sensitive data of an organization is crucial, but ensuring that third parties follow your security policies can be a huge challenge. Many organizations use external service provides for a range of IT tasks. Unfortunately, once you give privileged account access to vendors, they have access to important company information. In the hands of vendors, you have no idea how these accounts are being used, and your organization could be left vulnerable. Organizations are more at risk of security breaches than ever before. As the threat landscape changes, regulatory and compliance standards become more demanding. Regulatory compliance protects users and provides full transparency of information security within an organization. This is why organizations must have a way to prove that they are meeting these standards. According to the Identity Theft Resource center, data breaches increased 40% in 2016. Unfortunately, with many current security solutions, there are ways for privileged users to not only access sensitive information, but cover their tracks afterward. This can make it very difficult for an enterprise to understand what caused a breach and what further steps need to be taken to prevent a similar breach in the future. Password Vault: Keep all credentials in a secure location and never again provide users or third-party groups with access to root system passwords. This ensures that even if the credentials get in the wrong hands, your organization will still be protected. Session Manager: Record and track all the activities that take place on privileged accounts, including who logs in, when they log in, and the exact actions taken during the session. This unalterable audit trail makes it easy to meet regulatory compliance and generally improves your employees’ behavior simply by knowing it is there. Password Manager: Reinforce the protection of all access to your most strategic resources by changing and rotating passwords automatically and periodically. 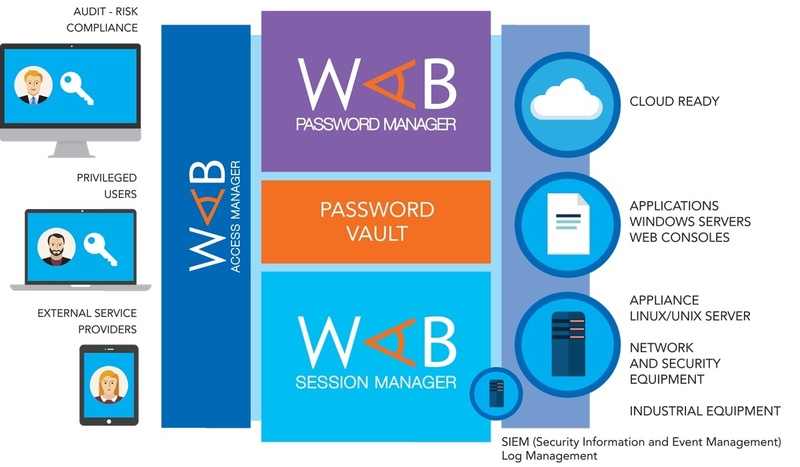 Access Manager: Ensures security by providing users with one point of access for accounts. The access manager makes it easy for admins to quickly add, modify, and delete access for users as needed. Maintain control over accounts and sensitive data with the robust privileged access management solution from WALLIX. Want more information about the WALLIX solution? Contact us or schedule a demo.